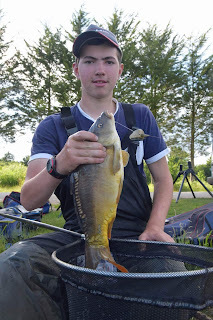 Liam Dennick Fishing : Saturday 2nd July. Manor Farm open. This weekend I decided to have 2 days at manor farm. The open today was on island pool. I really wanted to draw peg 16 as it's had a lot of form lately. Personally I have never drawn this bank at manor farm. 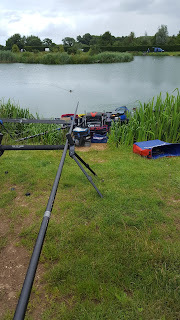 I decided to fish 14.5m of my Colmic Airon F44 pole. X1 4x14 float. 0.15 Spider line to a 0.125 stream hook length. X1 .2 Jon walker floats. 0.15 spider again to a 0.125 stream hook length. Both on 18B911 hook lengths to a lasso'd pellet. 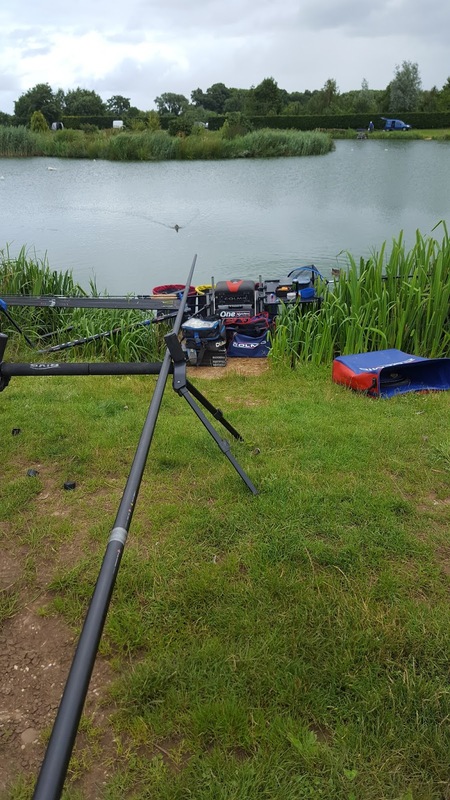 X2 shallow rigs. One set up at 2ft one at 4ft for chasing fish up and down. And finally a Next Adventure 60 rod 11ft. 0.20 colmic method line to 0.125 hook length fishing a pellet feeder. And a 6mm pellet. I began my match by feeding 40 ish 4mm pellets on the pole and chucked the pellet feeder. Hoping for some liners or indications that there were some fish about. Without a bite on this I had a look on the pole on the deck. I began catching steadily on this by pinging a bit of bait but it was clear my fish were small. It was noticeable that the fish were coming shallow as I was getting a lot of indications on the float. So had a quick look shallow and caught reasonably well on this for a few hours. Had to work really hard. Slapping and feeding, which as the day went on got harder as the wind got progressively worse. At around 1:00 my peg just shut down. I probably had around 45lb and was going nowhere. Neil Mckinnon next peg was catching really well on the pellet feeder but I couldn't seem to get a bite on it. My next decision proved to be a good one... I under armed my Next Adventure 40 rod with a little bomb over my pole line and began feeding heavily over the top to push them down. I had 6 fish on this in the last hour which has helped. At the end of the match I knew I hadn't done any good. I think I had around 30 f1s. Gary Donachie on peg 16 had emptied it and weighed 178lb. I weighed in 59lb which put me 5th overall. I felt like I started off well but the middle part of the match I should of come off my shallow line and done something totally different and built that up until the last hour. Maybe going on the pellet feeder earlier would of been better or even another pole line somewhere else.